Monitech works with many different suppliers to ensure that you receive a quality monitor, quickly, and for a fantastic price! The Dynapro 1051 is no exception. 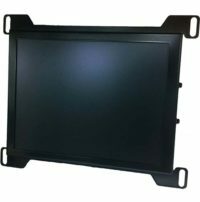 With customers from all over the world looking to upgrade their Dynapro 1051 monitors, we have perfected the design of our LCD monitor to suit your needs, whatever they may be! To purhcase a Dynapro 1051, please click ADD TO CART. Monitech works with many different suppliers to ensure that you receive a quality monitor, quickly, and for a fantastic price! The Eaton is no exception. 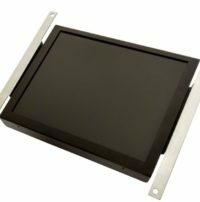 With customers from all over the world looking to upgrade their Eaton monitors, we have perfected the design of our LCD monitor to suit your needs, whatever they may be! To request a quote for a Eaton, please contact us. 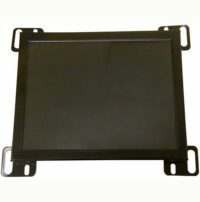 LCD Upgrade Kit for 12-inch monochrome Fadal VMC20 CRT. Full cable kit for complete conversion. Monitech works with many different suppliers to ensure that you receive a quality monitor, quickly, and for a fantastic price! The Fadal 4020 is no exception. 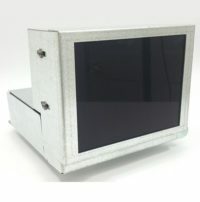 With customers from all over the world looking to upgrade their Fadal 4020 monitors, we have perfected the design of our LCD monitor to suit your needs, whatever they may be! To purchase a Fadal 4020, please click ADD TO CART. Monitech works with many different suppliers to ensure that you receive a quality monitor, quickly, and for a fantastic price! The Fadal VMC 15 is no exception. 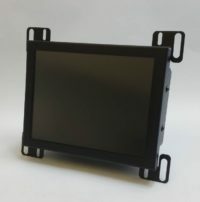 With customers from all over the world looking to upgrade their Fadal VMC 15 monitors, we have perfected the design of our LCD monitor to suit your needs, whatever they may be! To purchase a Fadal VMC 15, please click ADD TO CART. Monitech works with many different suppliers to ensure that you receive a quality monitor, quickly, and for a fantastic price! Monitech Fagor 8020 CRT to LCD upgrade kit is no exception. Monitech has perfected this upgrade kit to ensure EMI noise is cancelled and a clear stable image is transferred from the Fagor 8025/8020 controller to your new LCD monitor. Monitech works with many different suppliers to ensure that you receive a quality monitor, quickly, and for a fantastic price! Monitech Fagor 8025 CRT to LCD upgrade kit is no exception. Monitech has perfected this upgrade kit to ensure EMI noise is cancelled and a clear stable image is transferred from the Fagor 8025/8020 controller to your new LCD monitor. The upgrade kit includes Power and video cables and warranty. 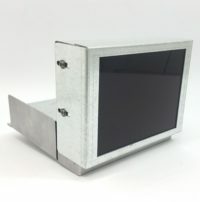 We have developed a low cost version of this LCD monitor. Please contact us and ask for stock levels on ML121LL8030. 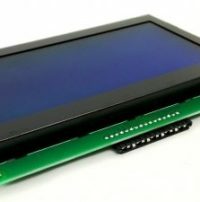 We have developed a low cost version of this LCD monitor. 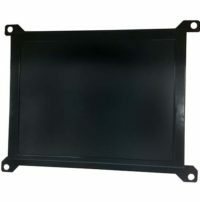 Monitech part number ML121LL8030 is a Light LCD version, which has the same cable kit as our premium quality part for the same machine controller. Includes warranty. Monitech works with many different suppliers to ensure that you receive a quality monitor, quickly, and for a fantastic price! The Fagor 8035 is no exception. With customers from all over the world looking to upgrade their Fagor 8035 monitors, we have perfected the design of our LCD monitor to suit your needs, whatever they may be! To purchase a Fagor 8035, please click ADD TO CART. Monitech works with many different suppliers to ensure that you receive a quality monitor, quickly, and for a fantastic price! The Fagor 8050 is no exception. With customers from all over the world looking to upgrade their Fagor 8050 monitors, we have perfected the design of our LCD monitor to suit your needs, whatever they may be! To purchase a Fagor 8050, please click ADD TO CART.